Grand Prairie Center is owned and operated by PCCUA. With 63,000 sq. ft. of meeting space, it is suitable for business, social, civic, educational, cultural and entertainment events. 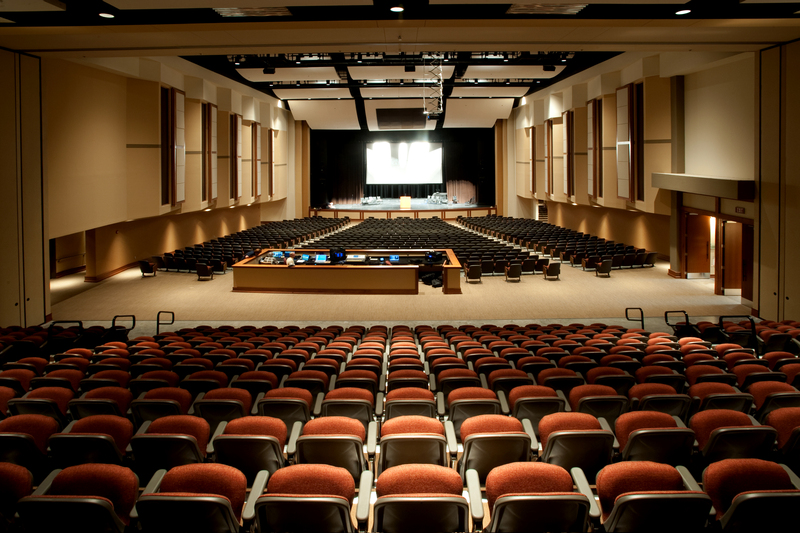 Riceland Auditorium seats 750, with expandable to 1,279. Click here for the 2019 Price List Brochure. For additional rental information, please contact Ashton Fields at 870-673-4201, ext. 1895. Click here to tour the Grand Prairie Center. The Grand Prairie Center offers a special discounted “PCCUA Student” ticket to all Performance Series productions. The tickets will be $5.00 each and must be purchased from the box office. Students must show their PCCUA student ID at the time of purchase and also when tickets are picked up the night of the performance. The tickets can only be used by the student and cannot be sold, given away, etc. Limit one ticket per student. The box office is open Monday-Friday from 9:00 a.m. to 4:00 p.m. and two hours before each performance. Auditions - Saturday, July 13, 2019 @ 3:00 p.m.
and Sunday, July 14, 2019 @ 3:00 p.m.
Fable Factory Director D. L. Webb of Blytheville, Arkansas, and coordinator Ellen Lee Boone of Mississippi, said children will be selected for solo and group participation. Costumes and other costs related to the production are being underwritten through the contribution of Lennox Industries of Stuttgart. There will be no costs to the children to participate. After a weeklong workshop in theatre, “Little House on the Prairie” will be performed on Saturday, July 20, 2019 at 7 p.m. and Sunday, July 21, 2019 at 3 p.m. in Riceland Auditorium. For more information, on auditions, contact Renee Robison, Grand Prairie Center, 870-673-4201, Ext. 1896 or Ellen Lee Boone at 662-801-6014.